March 29, 2015 – WrestleMania Fan Axxess: Dylan Miley defeated Marcus Louis. March 5, 2016 – WWE Experience: Apollo Crews defeated Dylan Miley. March 6, 2016 – WWE Experience: Dan Mantha and Dylan Miley defeated The Vaudevillains. March 18, 2016 – NXT Live Event: Dylan Miley defeated Bronson Mathews. April 8, 2016 – NXT Live Event: Dylan Miley defeated Josh Woods. April 7, 2017 – NXT Live Event: Demitrius Bronson defeated Dylan Miley by disqualification. April 12, 2017 – NXT: #DIY (Johnny Gargano and Tommaso Ciampa) defeated Dylan Miley and Michael Blais. April 14, 2017 – NXT Live Event: Dylan Miley defeated Steve Cutler. April 15, 2017 – NXT Live Event: Dylan Miley defeated Steve Cutler by disqualification. April 22, 2017 – NXT Live Event: Buddy Murphy defeated Dylan Miley by count-out. April 27, 2017 – NXT Live Event: Dylan Miley defeated Cezar Bononi. April 28-29, 2017 – NXT Live Event: Dylan Miley defeated Patrick Clark. May 6, 2017 – NXT Live Event: Lars Sullivan defeated Cezar Bononi. May 11, 2017 – NXT Live Event: Buddy Murphy and Roderick Strong defeated Cezar Bononi and Lars Sullivan. May 26, 2017 – NXT Live Event: Lars Sullivan defeated Steve Cutler. June 1, 2017 – NXT Live Event: Lars Sullivan defeated Kishan Raftar. June 8, 2017 – NXT Live Event: Lars Sullivan defeated Tino Sabbatelli. June 10, 2017 – NXT Live Event: Lars Sullivan defeated Trent Seven. June 11, 2017 – NXT Live Event: Lars Sullivan defeated No Way Jose. June 15, 17, 2017 – NXT Live Event: Lars Sullivan defeated Oney Lorcan. June 22, 2017 – NXT Live Event: The Ealy Twins (Gabriel Ealy and Uriel Ealy) defeated Demitrius Bronson and Lars Sullivan. July 7, 2017 – NXT Live Event: Lars Sullivan defeated Demitrius Bronson. July 8, 2017 – NXT Live Event: Lars Sullivan defeated Nick Miller. July 13-15, 2017 – NXT Live Event: Lars Sullivan defeated Demitrius Bronson. July 22, 2017 – NXT Live Event: Lars Sullivan defeated Fabian Aichner. July 29, 2017 – NXT Live Event: Lars Sullivan defeated Raul Mendoza. August 9, 2017 – NXT Live Event: Oney Lorcan defeated Lars Sullivan. August 11-12, 2017 – NXT Live Event: Lars Sullivan defeated Oney Lorcan. September 5, 2017 – NXT: Lars Sullivan defeated Alfred Watkins, Jake James and Ricky Martinez in a handicap match. September 21-24, 2017 – NXT Live Event: Lars Sullivan defeated Oney Lorcan. September 27, 2017 – NXT: Lars Sullivan defeated Oney Lorcan. September 28, 30, 2017 – NXT Live Event: Lars Sullivan defeated Cezar Bononi. October 6, 2017 – NXT Live Event: Lars Sullivan defeated Oney Lorcan. October 11, 2017 – NXT: Lars Sullivan defeated Danny Burch. October 14, 2017 – NXT Live Event: Lars Sullivan defeated Kishan Raftar. October 19, 21, 2017 – NXT Live Event: Lars Sullivan defeated Eric Bugenhagen. October 20, 2017 – NXT Live Event: Lars Sullivan defeated Oney Lorcan. November 2-3, 2017 – NXT Live Event: Lars Sullivan defeated Christopher Dijak. November 15, 2017 – NXT: Lars Sullivan defeated Raul Mendoza. December 2, 2017 – NXT Live Event: Lars Sullivan defeated Adam Cole by disqualification. December 8, 2017 – NXT Live Event: Lars Sullivan defeated Tian Bing. December 14, 16, 2017 – NXT Live Event: Lars Sullivan defeated Gabriel Ealy. December 15, 2017 – NXT Live Event: Lars Sullivan defeated Uriel Ealy. December 20, 2017 – NXT: Lars Sullivan defeated Roderick Strong to qualify for the #1 contenders match of the NXT title. January 5-6, 2018 – NXT Live Event: Lars Sullivan defeated Roderick Strong. February 8, 2018 – NXT Live Event: Lars Sullivan defeated Babatunde Aiyegbusi. 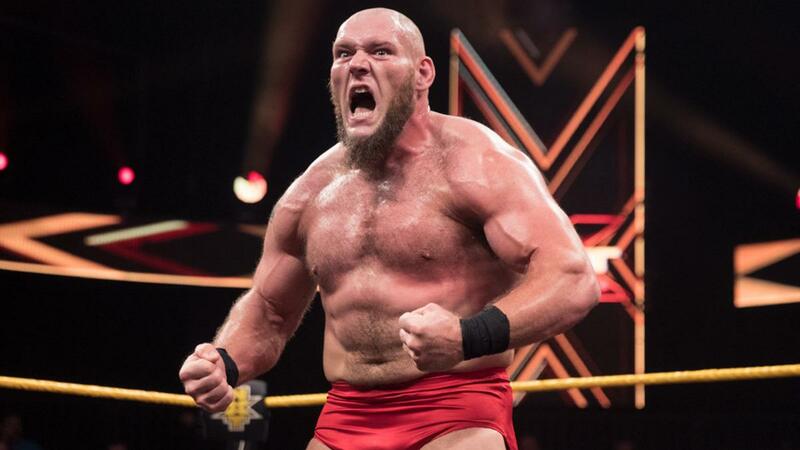 February 22, 2018 – NXT Live Event: Lars Sullivan defeated Brennan Williams. March 1, 4, 2018 – NXT Live Event: Lars Sullivan defeated Christopher Dijak. March 10, 2018 – NXT Live Event: Lars Sullivan defeated Brennan Williams. March 28, 2018 – NXT: Lars Sullivan defeated John Silver. April 8, 2018 – WrestleMania Axxess: Lars Sullivan defeated Keith Lee. April 19, 2018 – NXT Live Event: Lars Sullivan defeated Fabian Aichner. April 27, 2018 – NXT Live Event: Lars Sullivan defeated Kyle O’Reilly. May 12, 2018 – NXT Live Event: Ricochet defeated Lars Sullivan by disqualification. May 23, 2018 – NXT: Lars Sullivan defeated Ricochet and The Velveteen Dream in a handicap match. May 30, 2018 – NXT: Lars Sullivan confronts Aleister Black and want a NXT title shot. June 1, 2018 – NXT Live Event: Aleister Black, Johnny Gargano and Ricochet defeated Lars Sullivan, The Velveteen Dream and Tommaso Ciampa. June 8, 2018 – NXT Live Event: Aleister Black defeated Lars Sullivan to retain the NXT title. June 11, 2018 – NXT Live Event: Aleister Black defeated Lars Sullivan by disqualification to retain the NXT title. June 10, 12, 2018 – NXT Live Event: Aleister Black, Johnny Gargano and Ricochet defeated Lars Sullivan, The Velveteen Dream and Tommaso Ciampa. June 13, 2018 – NXT: Lars Sullivan decimated Aleister Black. June 16, 2018 – NXT TakeOver Chicago II: Aleister Black defeated Lars Sullivan to retain the NXT title. July 20, 2018 – NXT Live Event: Lars Sullivan defeated Dan Matha. July 26, 28, 2018 – NXT Live Event: Lars Sullivan defeated Tyler Breeze. July 27, 29, 2018 – NXT Live Event: Johnny Gargano defeated Lars Sullivan by disqualification. August 4, 2018 – NXT Live Event: Lars Sullivan defeated Dominik Dijakovic. August 16, 2018 – NXT Live Event: Lars Sullivan defeated Zack Gibson. August 17, 2018 – NXT Live Event: Johnny Gargano defeated Lars Sullivan by disqualification. September 7, 9, 2018 – NXT Live Event: Johnny Gargano defeated Lars Sullivan by disqualification. September 13, 2018 – NXT: Lars Sullivan defeated Raul Mendoza. September 14, 2018 – NXT Live Event: Lars Sullivan defeated Dominik Dijakovic. September 22, 2018 – NXT Live Event: Lars Sullivan defeated Keith Lee. September 26, 2018 – NXT: Lars Sullivan defeated Victor Orchant by disqualification. September 28, 2018 – NXT Live Event: Lars Sullivan defeated Keith Lee. September 29, 2018 – NXT Live Event: EC3 and Ricochet defeated Lars Sullivan and The Velveteen Dream. October 3, 2018 – NXT: Lars Sullivan defeated EC3. October 6, 2018 – NXT Live Event: Lars Sullivan defeated Dominik Dijakovic. October 11, 13, 2018 – NXT Live Event: Johnny Gargano defeated Lars Sullivan by disqualification. October 12, 2018 – NXT Live Event: Lars Sullivan defeated Raul Mendoza. October 19, 2018 – NXT Live Event: Lars Sullivan defeated Dan Matha. October 26, 2018 – NXT Live Event: The Velveteen Dream defeated Lars Sullivan. November 2, 2018 – NXT Live Event: Lars Sullivan defeated EC3. November 7, 2018 – NXT: Lars Sullivan defeated The Velveteen Dream. November 8, 2018 – NXT Live Event: Lars Sullivan defeated Babatunde Aiyegbusi. November 9, 2018 – NXT Live Event: Lars Sullivan defeated Luke Menzies. November 16, 2018 – NXT Live Event: Lars Sullivan defeated Keith Lee. November 21, 2018 – NXT: Lars Sullivan defeated Keita Murray. April 8, 2019 – RAW: Lars Sullivan made his main roster debut and attacked Kurt Angle. 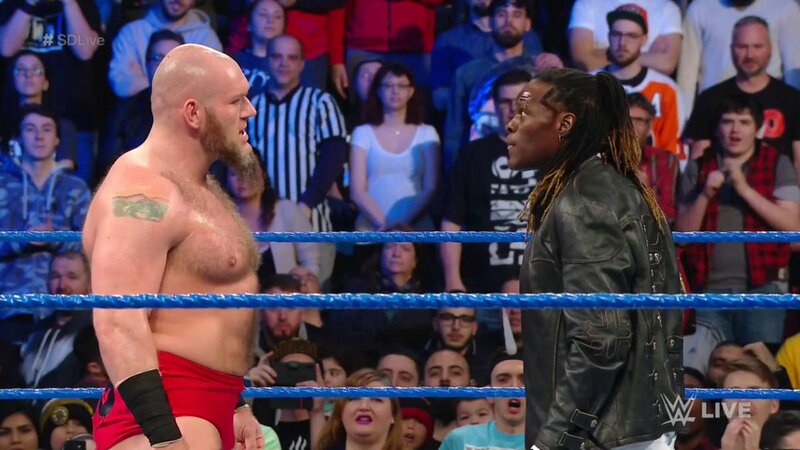 April 9, 2019 – SmackDown Live: Lars Sullivan made a surprise appearance and attacked The Hardy Boyz. @WWE @LarsSWWE @RonKillings Fantastic to see Lars! Come ooooon! 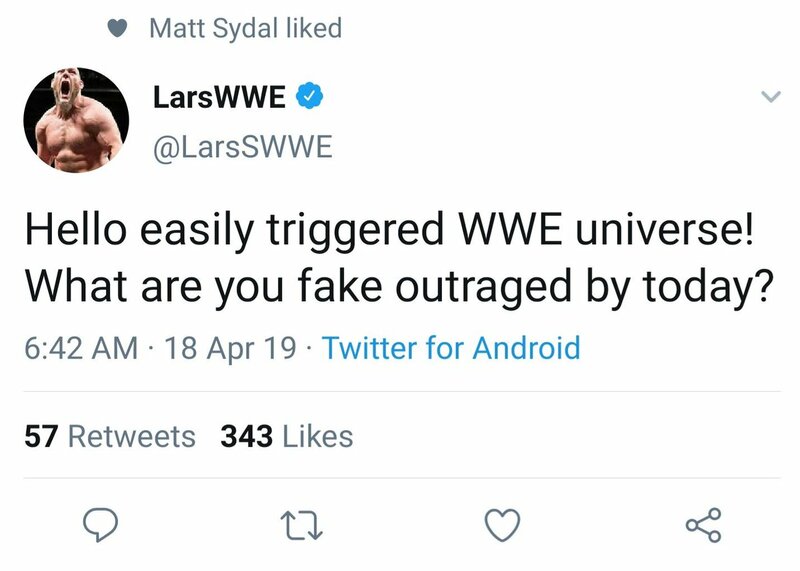 @LarsSWWE not the one that went missing because of an anxiety attack calling people easily triggered. Yikes.